Marked as Arcopal France. 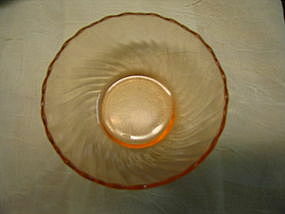 I've seen this pattern termed "depression" glass, but was manufactured in the last 20 years. This particular bowl holds slightly over 8 ounces. There is no structural damage, but has light usage wear, as well as some manufacturing flaws. I need your zip code to calculate the postage.